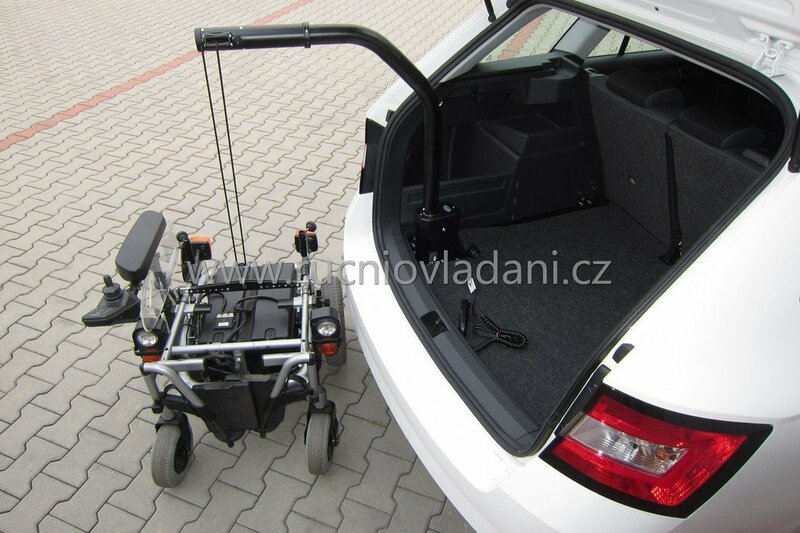 The hoist makes it very easy to load the wheelchair into the luggage compartment of a passenger car, either a van, station wagon, or a small hatchback. The hoist of our design is used for loading both electric and mechanical wheelchairs. The loading hoist greatly saves the work of the family, accompanying persons and handicapped assistants. If required, it has a removable arm with no wiring connection. 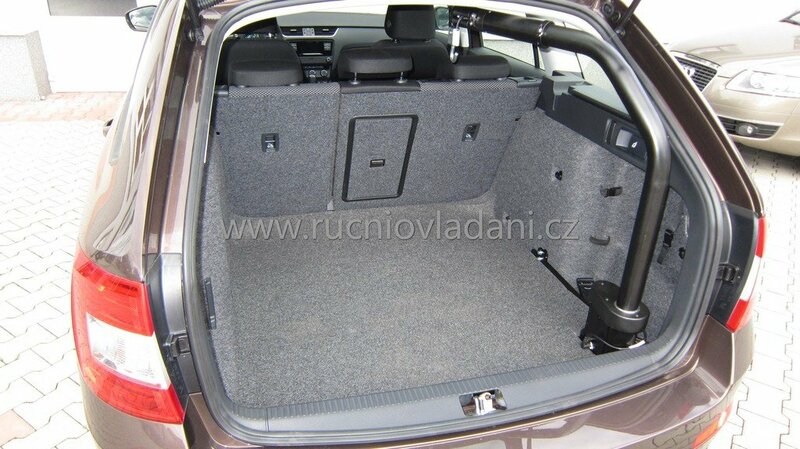 This is a certified device certified by TÜV and authorized by the Czech Ministry of Transport. 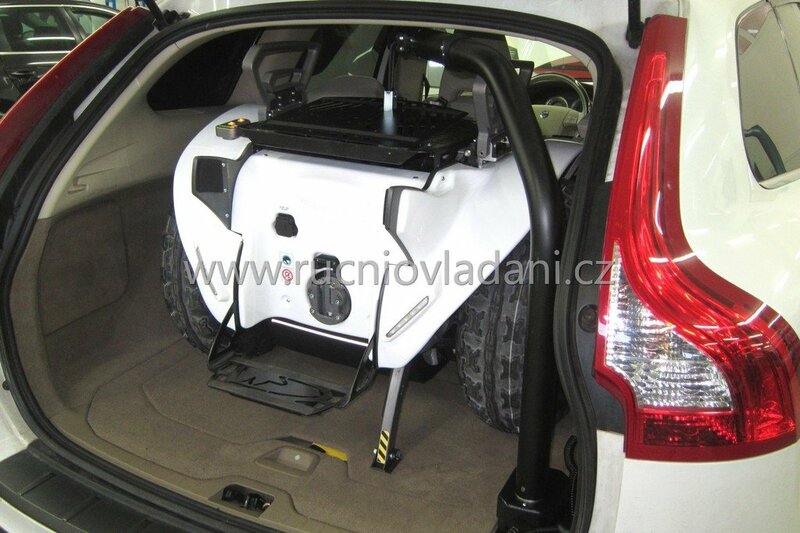 You can use the hoist for loading the wheelchair in all the cars where you can fit the wheelchair. It always depends on the particular car and the wheelchair. 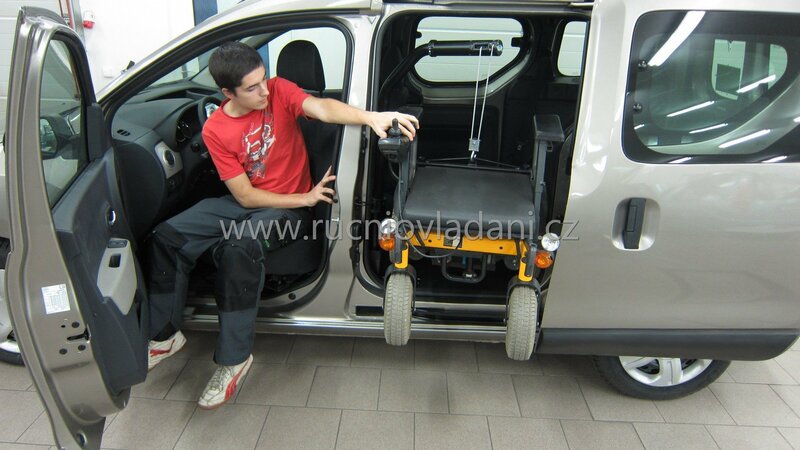 The hoist can be placed in the space of the sliding door, so it can be controlled by a person from the driver's seat and can place the wheelchair in the space behind the front seats. Loading the wheelchair is safe, simple and physically undemanding. 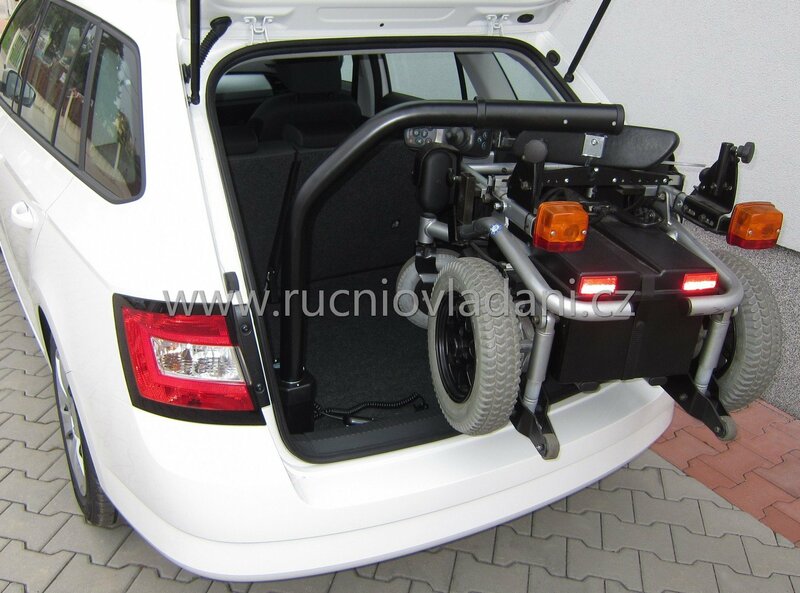 Loading the electric wheelchair even into smaller vehicles thanks to its minimum installation dimensions. We produce hoists with load capacity up to 200 kg. The driver can be wireless on request. 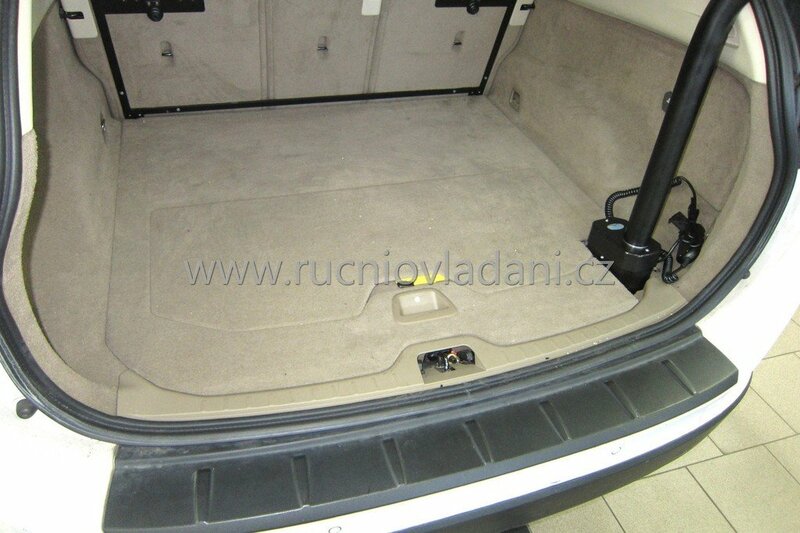 See the photogallery in different cars. So far, there is no simple way to load an electric wheelchair than using a hoist. 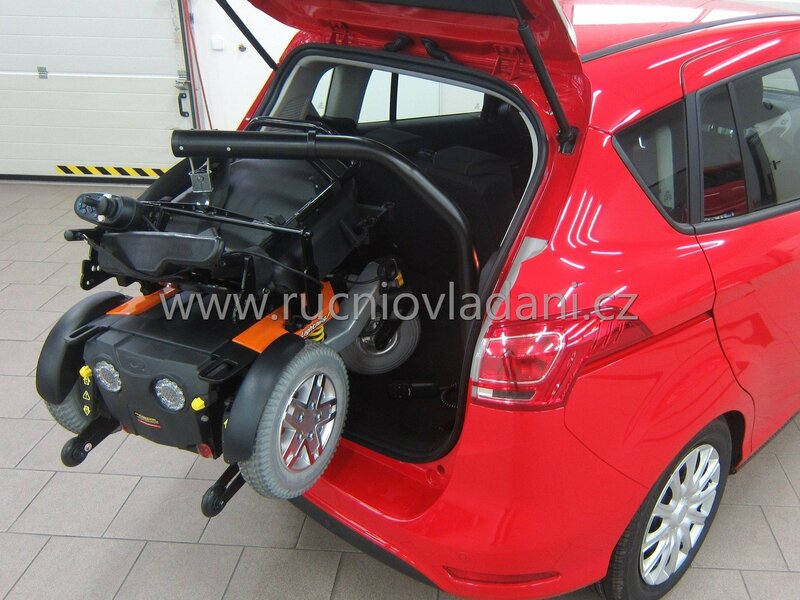 The hoist occupies minimum of space in the vehicle compared to portable telescopic ramps used for loading the electric wheelchair. 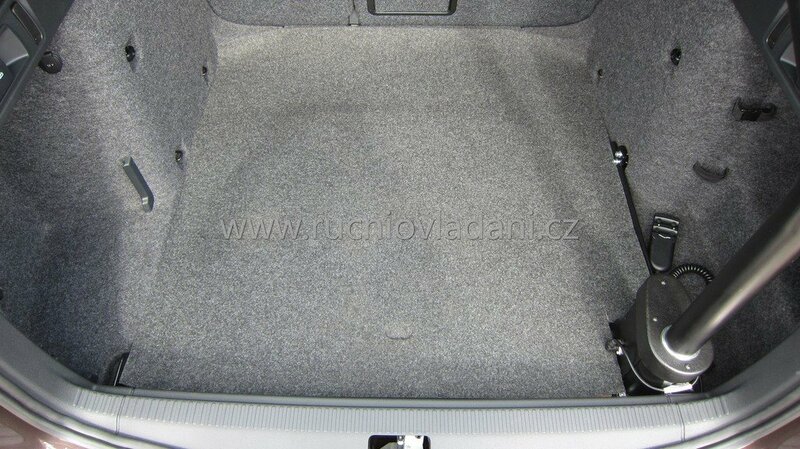 We have developed the design so that handling is easy and safe. We offer you an electric or mechanical turning of the arm. 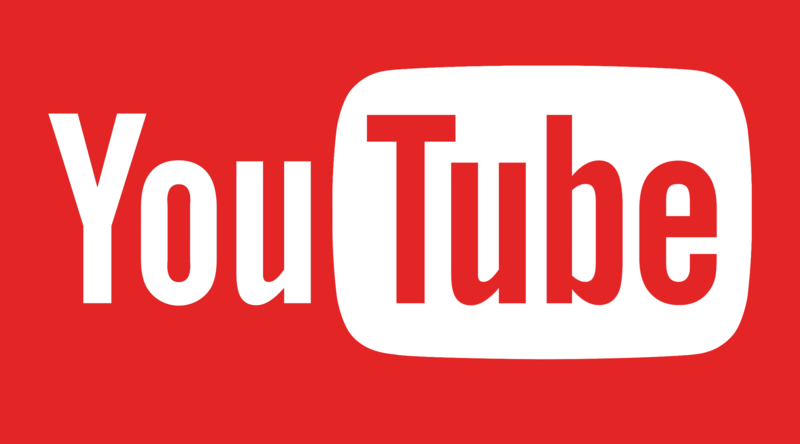 We will be happy to provide you with a free quote and let you know about all the facilities. This type of hoist is a simpler device variant. However, if the car is slightly inclined, the arm of the hoist tends to rotate down the slope. For heavy wheelchairs, therefore, it is not easy to keep the right rotation position. 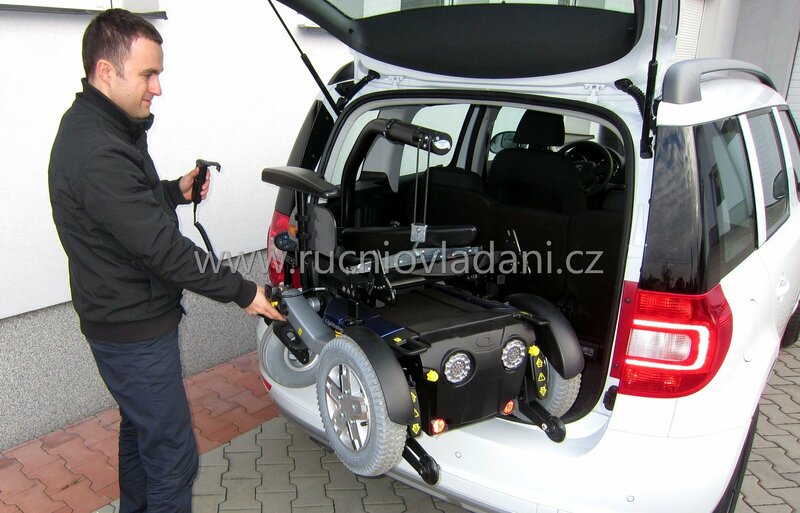 The electric rotor partially stabilizes the wheelchair in the luggage compartment even when the wheelchair is already loaded. We recommend a mechanical rotating wheelchair for lighter mechanical wheelchairs. When loading, simply fasten the hook to the pre-prepared console in the wheelchair and lift the wheelchair with the electric control. 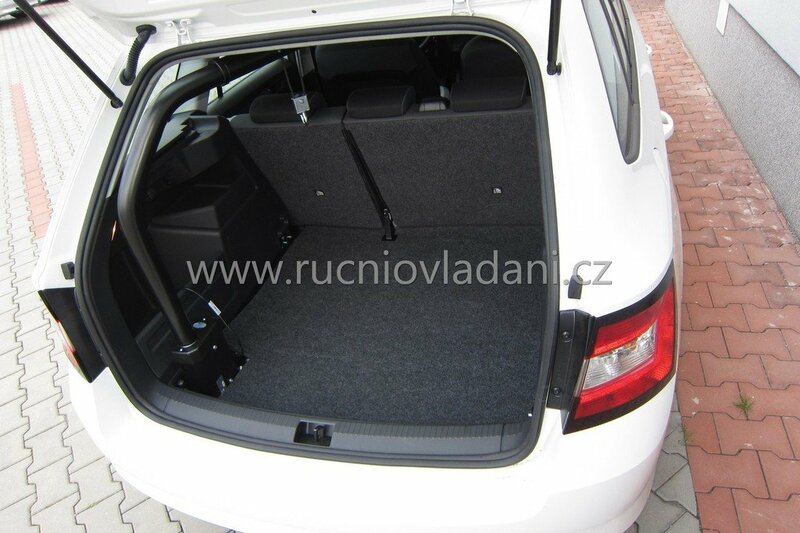 After overcoming the height of the threshold, turn the arm with the carriage into the luggage compartment and lower the wheelchair onto the floor of the car. The arm is usually equipped with electric control for even easier handling. When driving, the crane does not clink and sound. We produce cranes with load capacity up to 60 kg for mechanical wheelchairs and up to 200 kg for electric wheelchairs.